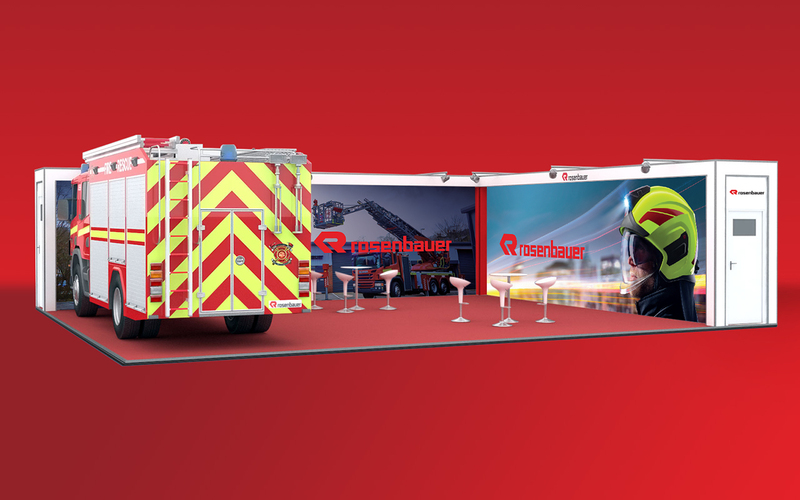 Rosenbauer UK plc, part of the Rosenbauer Group are officially the largest and referred to as the ‘absolute best manufacturer of fleet and equipment options to Fire & Rescue Services’ in the world. 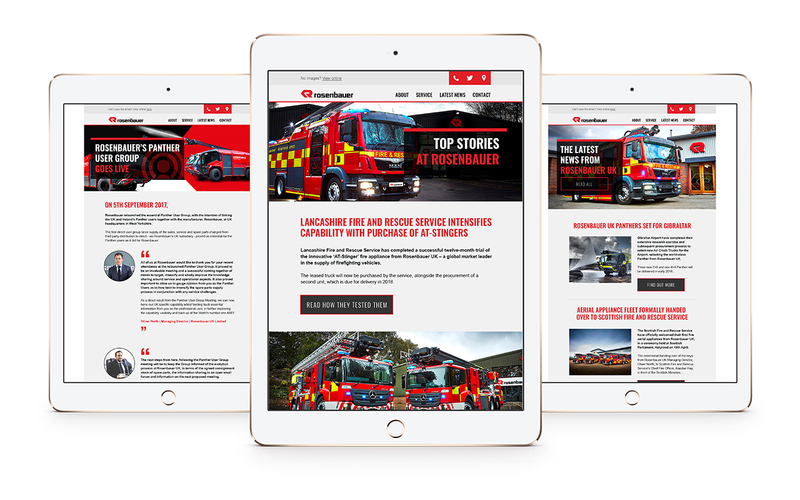 Rosenbauer commissioned Fantastic Media to ‘revolutionise’ the previous online offering. 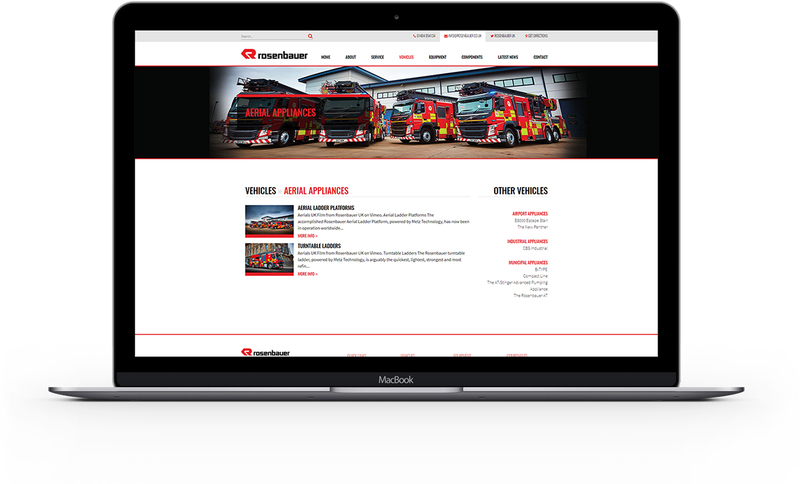 The aim was to not only refresh their existing site in order to develop and expand their brand proposition digitally, but to transform the user experience and place the business ahead of its competitors in what was a significant period of growth for the Huddersfield based firm. 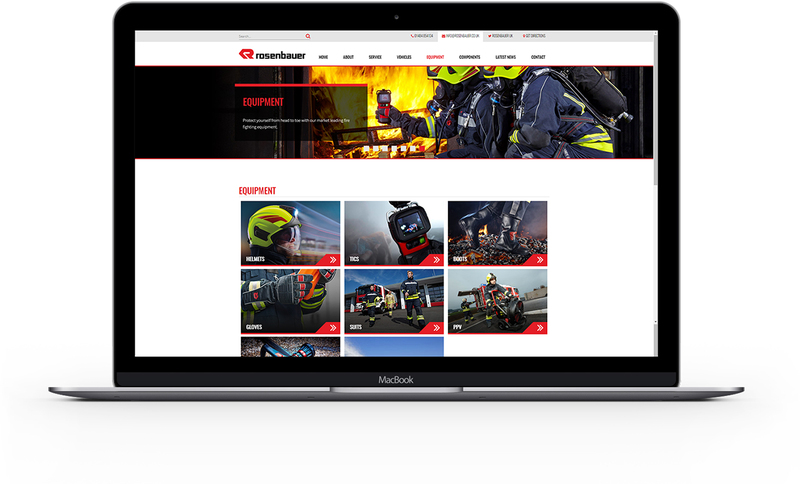 The six week project upgraded the online platform ‘Rosenbauer.co.uk’, transforming it from a standard brochure website into a show-stopping; multi-platform site that shares their key brand messages and showcases Rosenbauers’ range of available products. 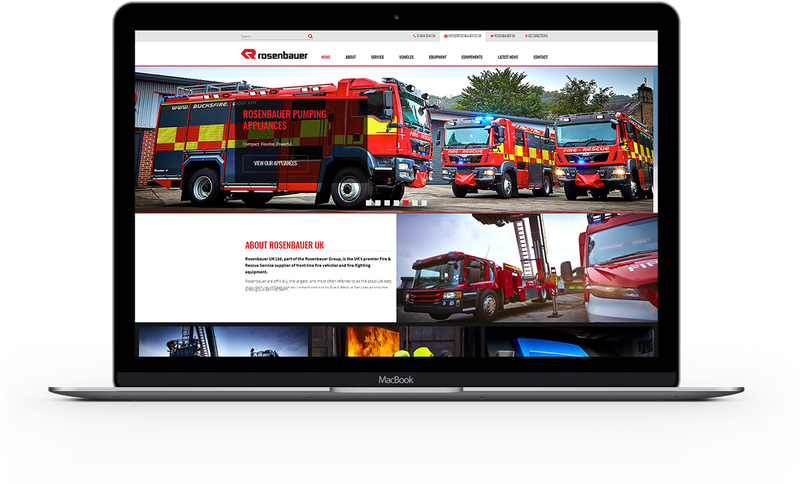 Fantastic Media elevated the Rosenbauer brand by creating a user friendly site that was sophisticated on a number of levels. 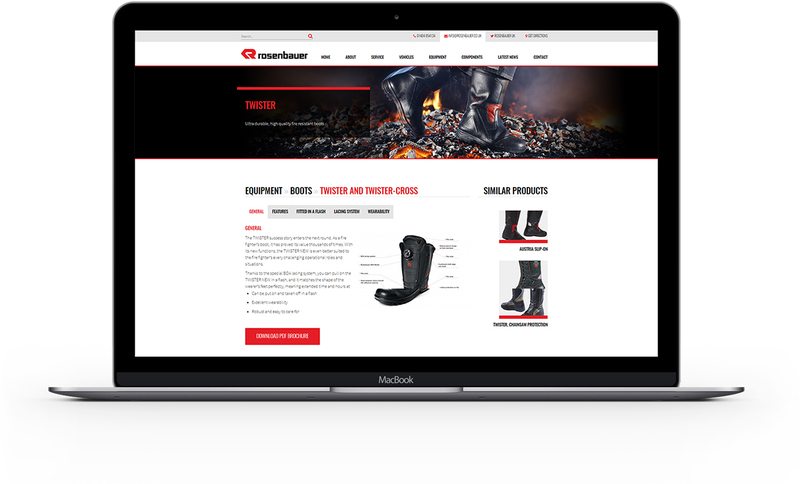 The implemented search facility enabled users to quickly and efficiently discover what they are looking for, and the integration of social media and news section allowed the site to frequently update with all the latest company and industry news. To create this enhanced online experience Fantastic Media reviewed all content from the previous site and made changes where they saw fit. 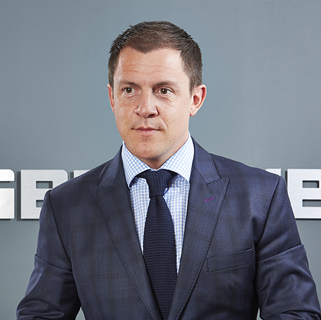 An on-location photo-shoot was also commissioned allowing Fantastic to use images that accurately reflect the brand, therefore enabling the end user to truly relate to the company.